Here we go again, the best of another year. Thanks to colleague Jim M. Goldstien HERE who has inspired many photographers to look over their past year’s images and pick their favorite. Here is one of my all time favorite of the year. 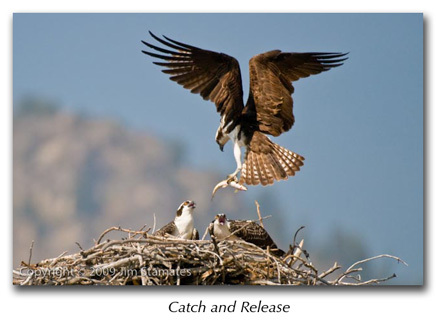 The look of anticipation on the young osprey as the parent brings a fresh trout back to the nest. This happened just a few moments after I set up my camera. This guy had just rose after sitting for quite some time. 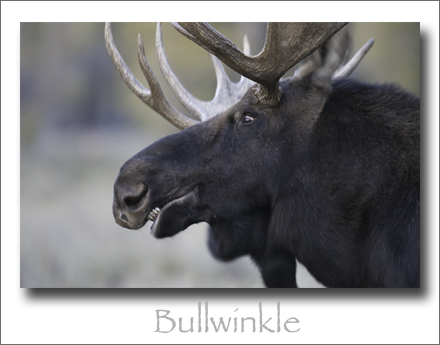 He did a lip curl to check on a nearby female and as he raised his head I shot. Great expression! 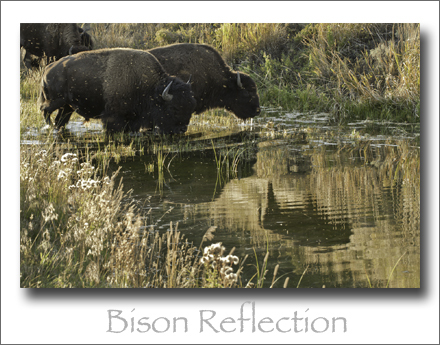 What I like about this image is the reflection of the third bison. 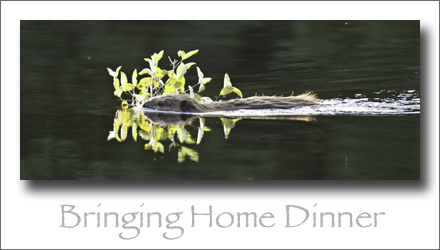 I’d been wanting to photograph the beavers at Schwabacher Landing for years but was always distracted by other opportunities at Teton National Park. 2009 gave me this image. Right time, right place. 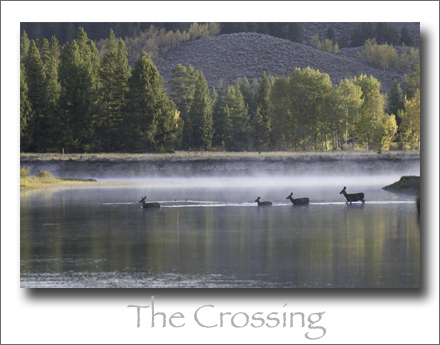 I was watching the morning mist rise off the water when out of the trees came a group of Mule Deer. I quickly grabbed my gear and made several images before they moved into the trees on the opposite bank. 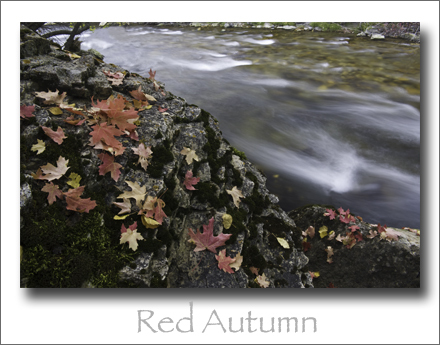 Autumn leaves were floating down the creek and over this small rapid. 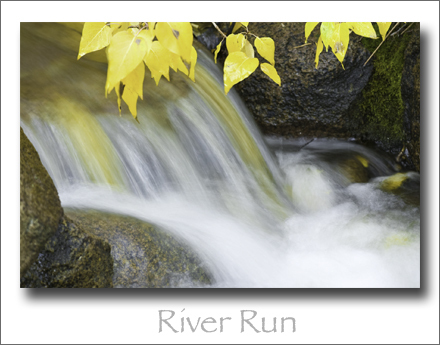 I used a slow shutter speed to get the yellow blur under the water. 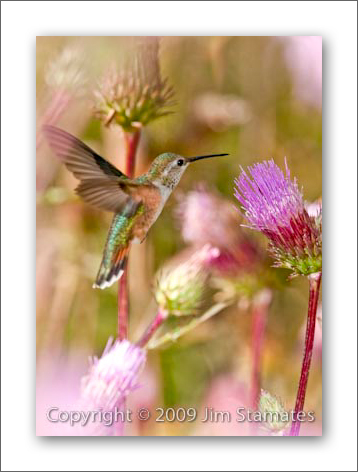 A rufous hummingbird feeds on thistle. Another fallen leaf swirls down stream. 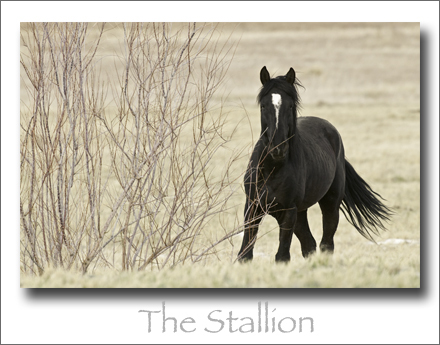 This wild mustang stood his ground while the rest of his group fed nearby. He watched me for 20 minutes before moving on. I don’t get much chance to photograph red leaves in fall as most of the trees near Tahoe are aspen. On a visit to Utah I found this wonderful scene. Playing around with macro after a rain. 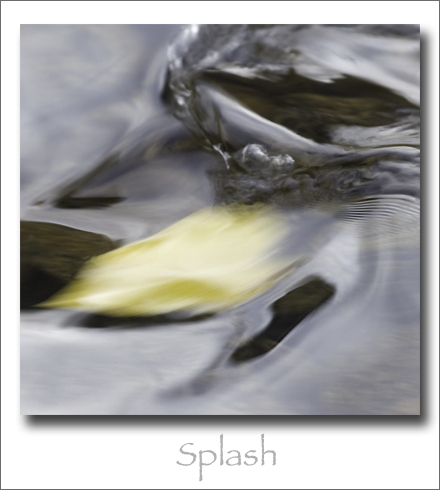 Some of the best examples of water tension are found on lupine leaves. If you look close you can see me giving the peace sign in the reflection. 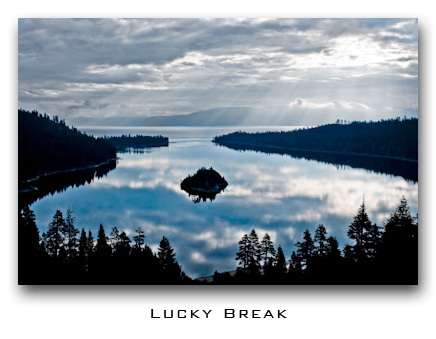 and finally…on the way to photograph a pileated woodpecker nest I found this image of Emerald Bay. An amazing morning. Well, there they are. Maybe not my best of 2009 but my favorites. I hope you enjoy them. Wow, Jim. Really stunning shots!